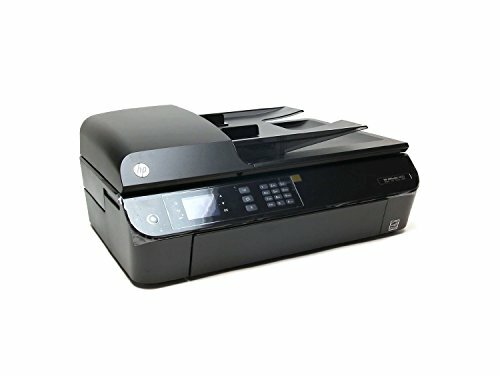 The color laser multifunction device Xerox Workcentre 6027V / NI turns out to be quite expensive in the test. The Xerox model also has clear strengths! Xerox multifunctional devices use LED instead of laser technology. An advantage: the compact device size. This also applies to the Workcentre 6027V / NI, although the automatic document feed has already made the difference in height. Also, the color laser combiner needs space, as we have to open a door for toner replacement before we get to the toner containers. 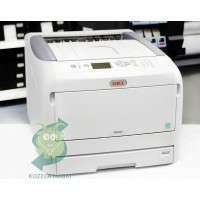 The Xerox Workcentre 6027V / NI is not suitable for offices where much of the salted page price is printed or copied. Even a moderate need is an expensive thing when color plays a big role. The touchscreen and the easy operation are also very good when changing the toner. Too complicated is the Xerox Printback solution for printing from the mobile device. Altogether, the multifunctional unit delivers medium quality and remains without surprises in the Tempotests. Test report: The most prominent feature on the Xerox machine is the operator panel with touchscreen. The menu is logical, the symbols are immediately understandable. However, the pressure point occasionally varies somewhat. If you have confirmation buttons, such as “OK” at the edge of the touch screen, we have to press several times before the device responds. For an office combination, which is designed for 18 pages per minute in color and black and white, the paper stock is narrowly sized. A maximum of 150 sheets can fit into the cassette and the automatic document feeder can only take up to 15 sheets. In addition, optional cassettes are not available for the Xerox model.Good contrast is the interface equipment with USB , Ethernet and wireless – including WiFi Direct. When connecting to the wireless network, the device shows its own behavior: even if we click the function via the control panel, the WLAN is actually only active when the combiner unit has been switched off and then once again. In addition to Apple Airprint and Google Cloudprint, the device controls its own Xerox Printback service. However, this is a cloud service that other services such as Dropbox requires. For a printout from the mobile device to work, the computer to which the Xerox device is connected must be running – similar to the Google service. As a standard emulation, the Workcentre 6027V / NI uses PCL 6. Postscript 3 is only available as an option. This includes two CDs, which, in addition to drivers and support programs, also offer additional software such as PaperPort SE or Image Retriever. In the case of the color laser multifunction device, the exposure unit and the drum are intended to maintain a printing life. Only the toner remains as a running consumable. This would in itself mean moderate consequential costs. Not so with the Xerox Workcentre 6027V / NI. Because the cartridges are only available with ranges of 2000 pages for the black and 1000 pages for the color toner. This results in side prices of 4.4 cents for the black and 20.5 cents for the colored sheet – in both cases high costs. Also the starter toner is lean with a range of 500 pages per color. 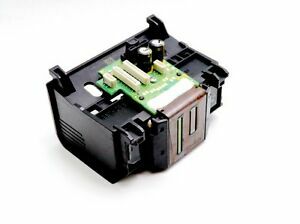 At least, the device in the power consumption remains moderately with 3.9 watts in the energy saving mode and a switch, which actually separates it completely from the power supply. All in all, we find average speed values ​​in the test, although it is a single-pass printer. This can be seen, for example, in a printed text page which is finished in the output tray after 21 seconds. This creates comparable models in almost half the time. The multi-function device is more efficient when several pages are required. So it done 20 pages of text by 1:18 minutes and delivers 12 color pages from Acrobat to 1:10 minutes. The scan unit basically does not hurry and makes little difference between the prescan and the final digitization. This is demonstrated by our measured values ​​of 11 seconds for a preview and 12 seconds for an A4 color scan. This behavior affects the copying process. Thus, five gray scale copies are completed only after 33 seconds. The multifunction device is optimized on text pages. The letter brings it to the paper in good sharpness and cover. For graphics and photos in grayscale, the driver allows only one resolution setting. Thus, the documents are somewhat too dark and too much in the cover. Color prints are appealing due to homogeneous surfaces as well as bright colors. The scans are quite bright and have strong reds and blues. Also their sharpness decreases rapidly in the depth. For office use, however, the overall quality is sufficient. This is also shown by the copies: Both in color and black and white, we get 1: 1 copies – that’s good. In monochrome copies, we find a fairly strong coverage. The color variants, on the other hand, are slightly pale and show slight alienation in difficult tones such as pastel colors.